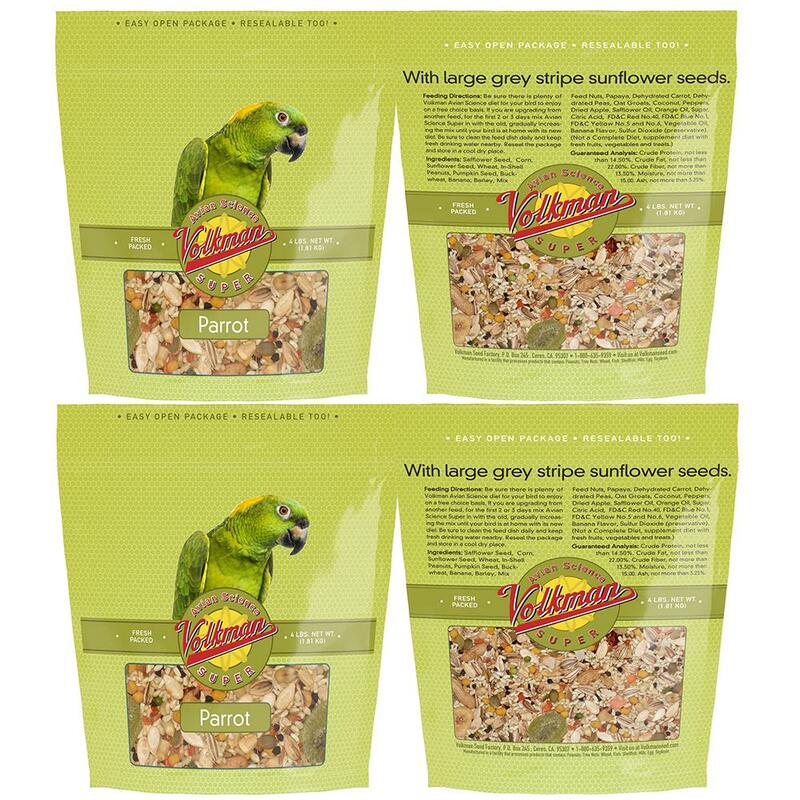 Volkman Avian Science Super Diets offer a whole constellation of heavenly ingredients to provide balanced nutrition for pet birds. 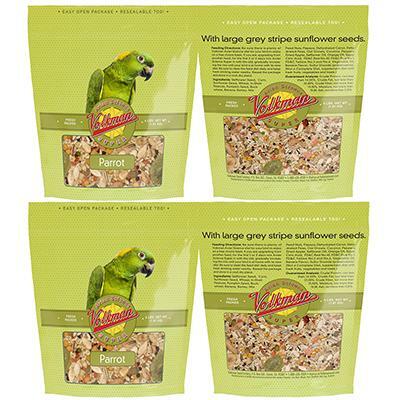 Each Avian Science Diet blend has added vitamins, minerals, and amino acids for your birds health. Store in a cool dry place and refrigerate when opened to extend freshness. As with all seed diets, one should supplement with fresh fruits, vegetables, treats, and cooked foods to give your birds added variety and nutrition. Ingredients: Safflower Seed, Grey Sunflower, Black Stripe Sunflower, White Corn, Whole Wheat, Banana Chips, Rainbow Pineapple and Papaya Dices, White Pumpkin Seed, Brown Paddy Rice, Kibbled Corn, Carrot Dices, Hulled Pumpkin Seed, Split Green Peas, Vitamized Oat Groats, Chili Peppers, Coconut Chips, Pine nuts, and Orange Oil.